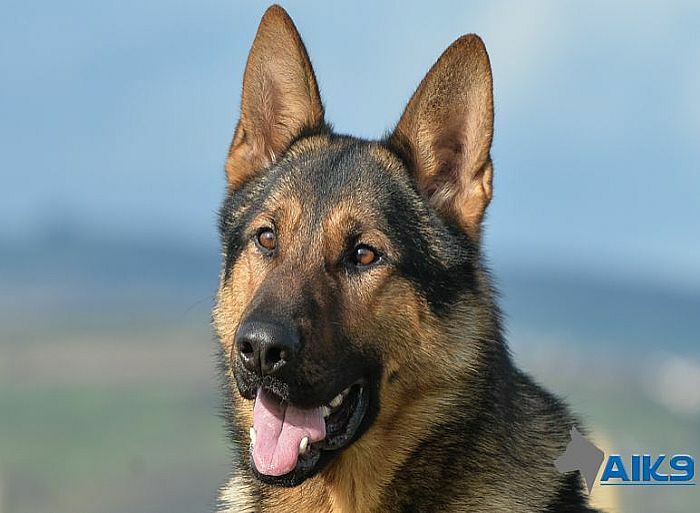 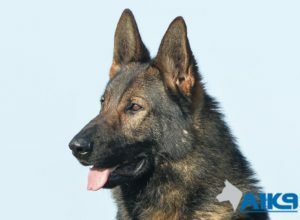 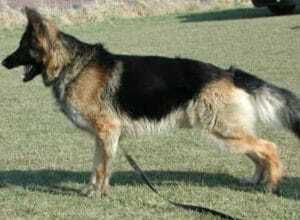 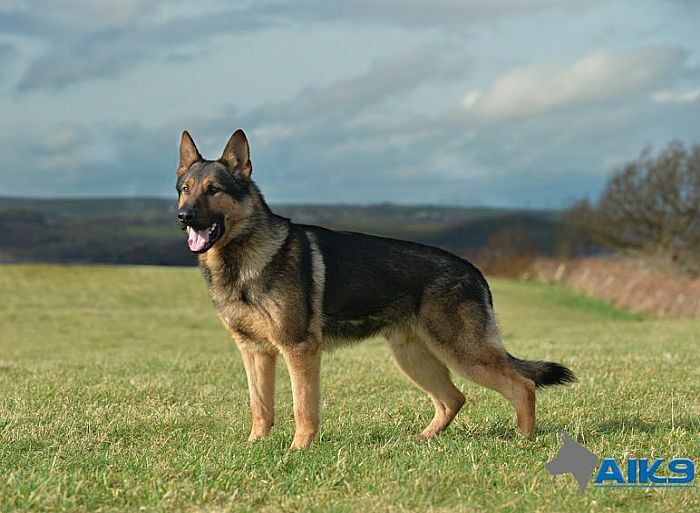 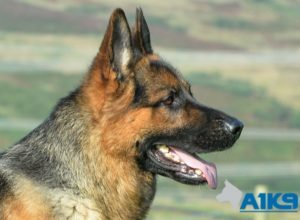 A1K9 family protection dog Caine is a beautifully marked, short coated, German Shepherd male, bred in the UK from German imported parents. 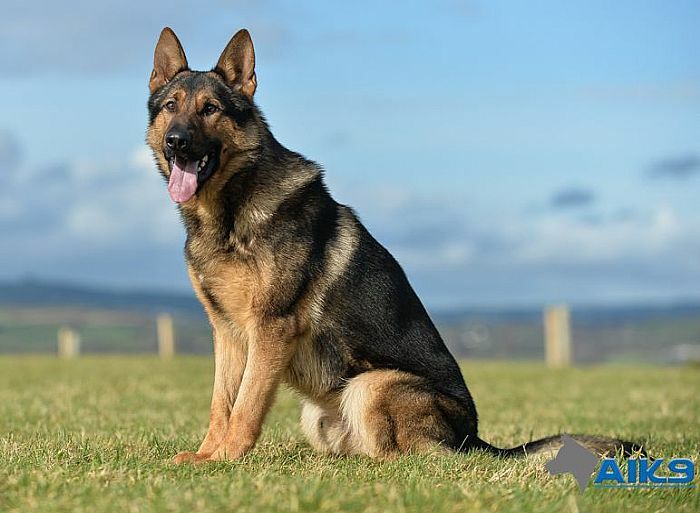 Purchased by us after receiving some very good initial training whilst in his original family home, Caine has been quick to grasp the intricacies of our training and has excelled in all aspects. During his time with us at A1K9, we can only describe him as a gentleman in all ways, compliant, willing and biddable and he has been lots of fun to work with. 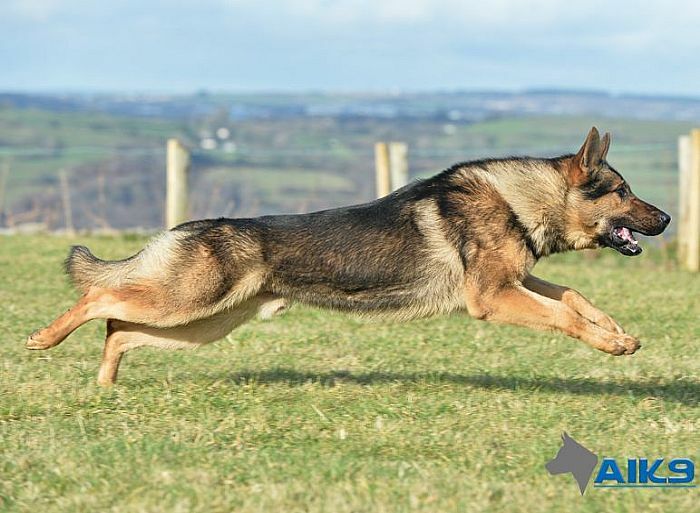 He is social with people and other dogs and is never happier than when playing ball with his trainer after all the days training is done. 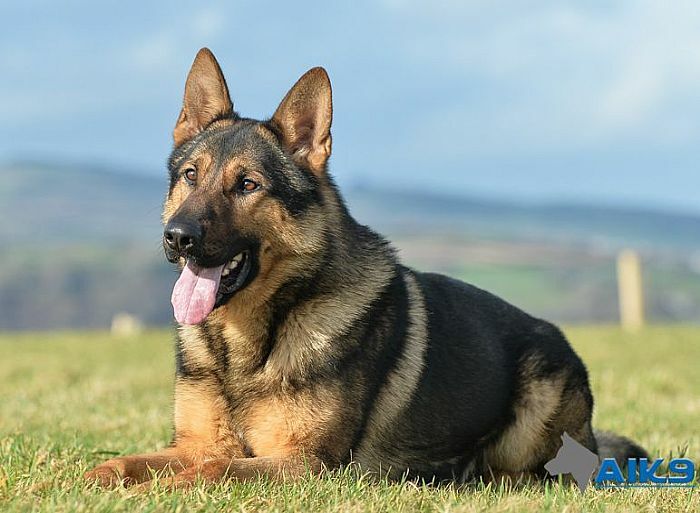 Caine is both very athletic and energetic and loves long walks and a good blast round the fields, however, he is also content to lay around and watch the world go by but no matter what he is doing, this dog never misses a thing. 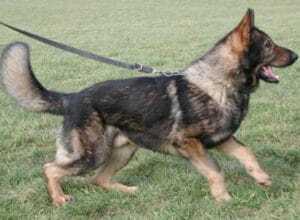 Ever watchful, vigilant, loyal and devoted would certainly be four words that I would use to sum up Caine. A great family protection dog that is ever so capable of protecting those in his care, yet with a real soft centre when it comes to those whom he loves.